 Der Braumeister restaurant is Cleveland’s Best German Restaurant, but we also strive to become one of Cleveland’s best catering companies. We cater weddings, corporate meetings and private home events. We have and will cater authentic Oktoberfest parties, but show off our culinary skills with seasonal specials that are light, daring and celebrate European traditions with American flare. Call today and speak with Jenn to create special menu for your special events at 216-671-6220.